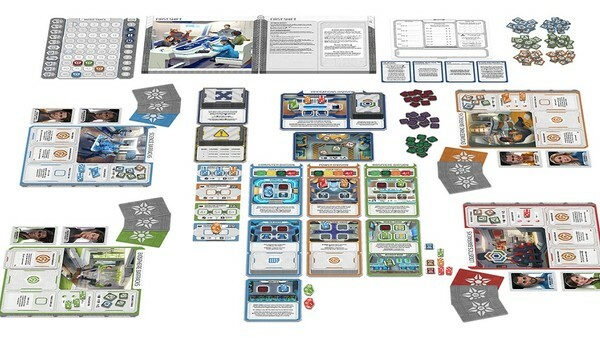 After a long, long wait, (some may even call it a long and dark winter), Plaid Hat games is back with the next “Crossroads” game, this time set in the coldest reaches of space, and titled Gen 7. Shooting into the public eye with the now monolithic sized Dead of Winter board game, Plaid Hat have been praised for their measured approach to storytelling, customization, and betrayal, therefore there’s a lot of excitement and expectation with this new title, and it’s the term “expectation” that needs to be addressed. This is not Dead of Winter in space. However awesome that sounds, that’s not the case here but that is in no way a critique of Gen 7 as this is an altogether different experience, but is still absolutely outstanding. To sum up this game in an elevator pitch way, Gen 7 tells the story of a crew who have been woken from cryo-sleep and it is their duty to keep the player named ship running through thick and thin. The stories of this crew are shaped by their actions with success and failures determining which chapters in the rather weighty plot book are read out. These branching narratives in turn affect the gameplay, benefiting or punishing the crew in a multitude of ways and by the end of a full run you will have crafted a story unique to your team. The board setup requires a fair bit of space but everything is clean and well presented, a collection of coloured dice come to represent your officer, their crew and even robots. Each of the results that you roll affect what that particular worker can do and high numbers will be in equally high demand when it comes to completing critical tasks which are drawn and refreshed each turn. Each critical task carries with it a small maths equation and the players have to place dice that are higher or lower than the value shown on the card. The situation can call for pairs of dice or even for one to equal the subtraction of two others. It’s a lovely little twist that sells the “space tech” side of the game and one that might lead to agonising decision as players agree to submit resources which were pegged for a personal advancement project; and the incentive to follow through with these tasks is that failure can see loss of access to parts of the ship as they begin to fail, making it even harder to achieve success further down the line. However that’s not to say you’ll be working together all the time, as each player has their own personal objectives to complete which will see you place your team around the ship, sometimes denying other players access to certain areas in order to complete your goals. And you’ll want to do this because if you leave any personal objectives incomplete, you’ll suffer penalties to your overall score, which actually becomes one of the most interesting dynamics of the game. As mentioned before Gen7 isn’t about stabbing your friends in the back, but it is about friendly competition to be the best officer. Working together is great and all, but not as good a feeling as being the best. At the end of the final round in an episode (notified by a marker that is set up on a round tracker which when reached signals the end) players tally up their points and see if they increase their rank and accrue merit stars. The player with the most points becomes the MVP of the team which is more than just a mere point of gloating from the top officer as it can actually have impotence on the story itself. There are times in the game that the star officer might have sway over a decision or can override a choice made by consensus to fit their ambitions. As I said before there’s no betrayal element however there is an inbuilt sense of preservation when it comes to defending whatever part of the ship you’re in charge of. Merit stars can be cashed in to improve officers at the end of the round and the degree of customisation is impressive, meaning that you feel more connected to your officer as the story progresses and their abilities grow. Who you select might not seem important at first but character relationship cards are put into the crossroads deck which can throw up difficult choices which are now tinged with personal drama. It’s the crossroads deck that truly makes the game feel like a Plaid Hat title, and triggers whenever a player places their officer die in a section. The choices that can be made are sometimes bountiful to the team but more often than not will come to represent a compromise. In our time with the game there were more than a few times where a crossroads card scuppered a personal plan or even put the episode in critical danger, and we loved every moment of it. In fact, there’s a great deal of showmanship in Gen 7, from the layout of the board which, while requiring a fair amount of room does make you feel like you’re looking at a cross section of a ship, to the fact that different endings and narrative branches see you putting in new cards from sealed envelopes into the different decks. By the end of the run you’ll have barely scratched all of what Gen 7 offers and it’s replay value is a huge selling point of the game. 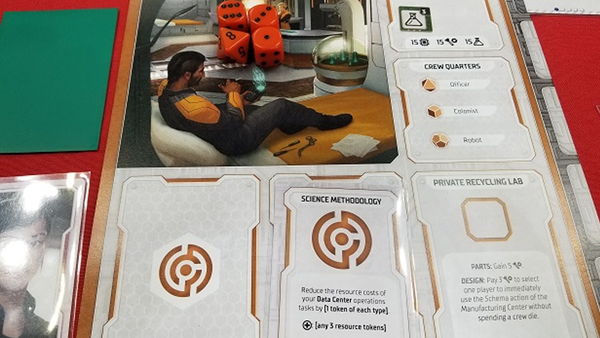 We found that while the instructions had been carefully laid out to give the impression of an easy setup that there were questions around every corner, this actually came as the result of a few misprints, which I honestly was not expecting from a game company of this size. Luckily the terms were easy enough to clear up with the help of the online community but it’s a shame to see an otherwise superbly polished game fall foul to these mistakes. Setup itself is also quite lengthy as with the multiple decks, trackers, areas and die, it can be quite overwhelming. Thankfully once the game has been set up, a short tutorial stage introduces the main elements in an easy way, and gradually ramps up as episodes go on. Once the games got into full swing our team was passing turns, completing personal tasks, utilising the specific abilities of their player hubs and making deals with others to solve critical tasks at hand. It’s basically like bureaucracy in space, but infinitely more fun than real life red tape would be. Our story told of a crew that was much more logical than we might have anticipated and this lead us down a path of the good of many outweighing the good of the few, meaning that when certain big crunches had to take place, it was on the shoulders of one or two of the team to take the hit. 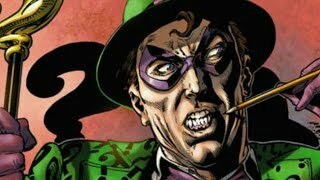 This bred an air of restraint and a bubbling resentment which in real life would be horrible, yet in the game we were laughing, cursing our dice rolls and even trying to manipulate other players into leaving resources for them to be snatched up later. In these moments it’s clear to see what Gen 7 is, a spiritual and spatially (pun intended) different game to Dead of Winter, but with the same sense of working together under the shadow of mistrust. If dead of winter is about snatching the food from someone's mouth, Gen 7 is signing a death warrant of someone you’ve never met. The emotion has been dialed back but sometimes the outcome can be just as deadly. 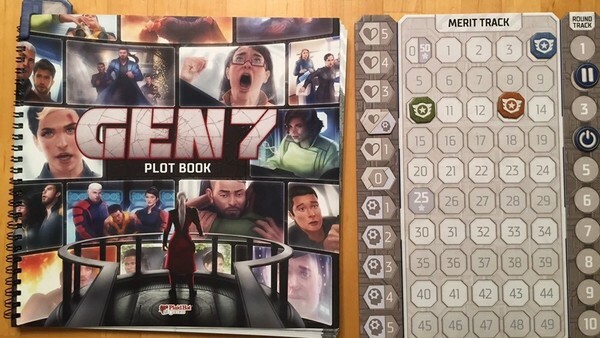 It’s impossible not to fall in love with Gen7’s charm, although I can see that it’s more restricted approach and complex setup might put some people off, as might the rather weighty price tag, however you have to see the content you get in the box outweighs the actual components you might expect. I hope that the game is supported as much as Dead of Winter was because there’s clearly a lot of scope for the game to expand on, yet as a core experience you are buying into a narrative that evolves over weeks of play, and one that has enough pulls to bring you back in for another round as soon as it finishes.